Note that this website is mainly about hitchhiking, another free form of transport, which is much more legal and especially more safe. Train hopping (also called train surfing, train hitching or, in parts of the United States, catching out) is a riding on the outside of a train or another rail transport. In a number of countries, the term train hopping is often confused with the term freight hopping, which means riding on the outside of a freight train, while train hopping can be practiced on any type of a train. This type of travelling can be dangerous and even life-threatening, because there is a risk of death or serious injury from falling off a moving train, electrocution from power supply (overhead lines, current collectors and resistors), colliding with a railway infrastructure (bridges, tunnels, platforms, traffic lights or other trains) while riding outside off structure gauge on the side or on the roof of a train, or unsuccessful attempts to jump on a moving train or off it. Riding on the outside is a much more exciting (and potentially deadly) way to travel by train than riding inside of it. You can feel the wind and observe your train during it's motion. Extended view of surrounding area. If you ride inside the train, you can only watch a small part of countryside and railway infrastructure through a side windows, especially if windows don't allow you to protrude from it. If you ride on the outside, you have a 180-degree or 360-degree panoramic view, which can be much more wide than a view from train driver's cab. Opportunity to travel by train for free, without having a ticket. Opportunity to ride in a comfort when a train is extremely crowded or there is a strong heat inside railcars. For example, local and subway trains in a number of countries can be extremely overcrowded during the rush hour, that makes riding inside of them very uncomfortable; moreover, in some cases it's impossible to get in a crowded train. Riding outside of it allows to travel with a comfort. Opportunity to ride on a train, which does not provide transportation of passengers and does not allow to enter it. For example, in most cases you are not allowed to get into a freight train, a service train or a locomotive, but you can ride on the outside of it. Opportunity to hop on or off a moving train. Thain hopping allows to catch a departing train or jump from an arriving train at low speed before it's complete stop. It's much less social than hitchhiking. Train hoppers use carbines and safety belts to hang on between carriages of a high speed train Sapsan. Hazards for roof riders — overhead 25 kV AC power lines, current collectors and electric busbar on the roof of electric train. 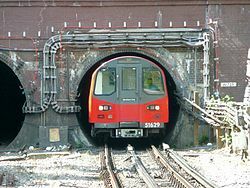 Attempts to ride on the side or on the roof of subway trains are often deadly or extremely dangerous, because the clearance between train and tunnel is very small in many subways. A train engineer has found train hopper between cars and attacks him with a hammer. Train hopping is more dangerous than riding inside the train. In fact, this type of traveling is as risky as motorbiking or another extreme activity. Riding on the outside of train can be fun, exciting and full of adventure, but it also takes a lot of time and patience and requires physical preparation, skill, concentration and incessant monitoring of environment during the trip. Moreover, train rider must consider a presence of current collectors, resistors and busbars on roofs of electric trains and watch for catenary, bridges, tunnels, platforms and other objects of railway infrastructure while riding on side or on a top of train and be able to keep a safe distance from them. First of all, your best option is to find your nearest train yard or big train station and spend some good long hours waiting and watching, ecpecially if you don't have a good experience of travelling on the outside of trains or if you want to ride in an unknown region. Keep an eye out for the different types of cars, what looks rideable, what doesn't, and keep track of the timetables and frequencies. Practice сlimbing on different types of standing train cars and try to find the most comfortable places before the real rides. If the railway line is electrified, try to determine the type of electrification (AC power lines and trains usually have bigger insulators than DC), and be very careful if you want to ride on the roof of a train under an AC power line. Research of the area is vital beforehand, but also while sitting by the tracks in the cold dark night, the wind and rain blowing into your face. You'll need passion and an adventurous spirit to keep you there, but once you find your ride, you will be heavily rewarded. Have your brain lucid (no alcohol or drugs) during all time of trip. Analyze different parts of train and avoid hanging and grabbing on shaky parts of car (like rusty handles, mirrors,	wipers and etc. ), which could be broken by weight of a human. Take the most comfortable and stable posture during the ride. Always have 3 fulcrums while riding on front, back or sides of train car (stand on two legs while holding with one hand, or hold with two hands while standing on one leg) and maintain weight of your body to different parts of train to avoid falling off it in case of breakage of handle or emergency stop. Watch out for bridges, traffic lights, tunnels, platforms, and other trains if you ride on side or roof of a train and keep the safe distance from them, or immediately get into the loading gauge of train if there are too close. If it's impossible to ride inside a loading gauge of train, check the railway lines for close railway infrastructure before rides. For example, the structure gauge in many subways is too close to loading gauge of train, so attempts to ride on it's roof or side can be deadly in case of collision of rider with a tunnel infrastructure. Do not ride on the outside of trains without handles and other structures that allows you to hang on the train and ride in comfortable posture, if you have no special equipment, which allows you to attach yourself to the train. For example, to ride on back side or between carriages of high-speed trains ICE, train hoppers use ring bolts and vacuum lifting pads in couple with safety belts. Do not try to jump on or off a moving train, if it moves faster than the speed at which you can run. Before jumping on a moving train, make sure that the car has a handle and a footrest, than run with a train and hang on a handle, and jump onto a footrest, otherwise you risk to fall down. If you want to leave a train during it's motion (for example, to avoid a catching by the police at the station), get to the lowest footrest of car, face forward to direction of movement, than jump to the side off the train and run after a contact with land surface. Don't try to jump if you ride between carriages, because you can fall under the train. Start practice of jumping on or off a moving trains at slow speeds (lower than 10 km/h), and then gradually try to jump at higher speeds. Riding on the outside of trains is illegal in many countries, so the police, guards and railway workers can try to catch you if you will be detected. Some railway guards, train engineers, conductors and other railroad workers can be train hoppers can be very rude with train hoppers and even can come to blows or with them. If you don't want to be detected, you have to hide at lower parts of a train before a railway crossings bridges and especially large train stations. For example, a person who locates between carriages of passenger train or inside a gondola car of freight train is fess visible, than a person on a roof or side of train car. Also, wearing a clothes with the same color which train has or dark clothes can help you to not be spotted. Riding the rails, hoboing, or jumping a train (train-hopping) can be done in most parts of the world. If there are trains with handles and footrests that allows to climb on a car, then there can be train hoppers. While there is a vast amount of information online regarding the U.S., practical guides for Europe, Asia and Oceania are few and far between. A zine called 'EuroHobo' exists for European adventures but can be difficult to obtain. Hobos rides on the rods underside a freight car. A railroad worker rides on the outside of a freight train. A big country with an extensive rail-network, coupled with a history of hobo traveling, makes the United States the ideal place for riding the rails: riding by freight trains is more common here than in any other part of the world. However, this country has a very strict punishments for train hoppers: if you get caught, you can not only be fined for dozens or hundreds of dollars, but even jailed up to 30 days. Each state has it's own laws, so the maximum size of fine or arrest can be different. Riding by freight trains in this country has a long history in art, music and culture and became a common means of transportation following the American Civil War as the railroads began pushing westward, especially among migrant workers who became known as hobos. It continued to be widely used by the destitute and those unable to afford other transportation, especially during times of widespread economic dislocation such as the Great Depression. In more recent times, the practice of train hopping in the United States has distinctly reduced in comparison with the first half of 20 century, and now it has evolved into an underground movements of railfans, thrill-seekers, hobos, bums, tramps, punks and anarchists, or just a poor lonesome traveler with no money. These people can be found throughout the United States, hanging out in 'Jungles' by the side of the tracks or near a freight yard. Although riding inside the train for free (without having a ticket) is illegal too, it is usually less punishable than riding on the outside of trains (train hopping) and can be one of the most viable ways to get out of the city for free. In most passenger trains (NJ Transit, Amtrak, etc. ), generally speaking, if you are discovered to be riding without paying the proper fare, you will be asked to pay it. If you can not pay it, then you will be asked to exit the train at the next station. As long as you remain friendly and cooperative, there should not be a problem with legal issues, arrest, or fines. Riding on the outside of train is a more dangerous and punishable, but a more exciting way to ride long distances for free. It is extremely practical to do if you have phone or internet access, because there are numbers and/or websites that will give you the direction that each freight is headed and its estimated time of arrival, based on that freight's identification number. A common accessory is a two-way radio, used to listen in on freight movements, destinations and times of departure. Frequencies will need to be found before hand. It is very possible to ride without one, which will save you space and weight (radio, batteries, recharges), but a little more time might be needed to work out which trains are going where and when they're looking like leaving. If possible get your hands on the Crew Change Guide, an underground book with hopping info on nearly every crew changing station across the United States. There is a mailing list for train hopping. Send a mail to [email protected] to join. Freight trains can be found in most European Countries and often carry rideable cars. Auto Racks (automobile carriers), Boxcars, Coil Cars, Flat Cars, Grainers, Gondolas, Tanker Cars, and Well Cars can all be found. Passenger trains are usually less rideable, because a lot of them haven't any handles and steps that allows you to ride between carriages safely or climb onto the roof, but it's possible to ride on them too. Most are electric, traveling far and fast. Which is fortunate since very long tunnels are found in Europe, and diesel trains going through tunnels require a 'skank' or piece of material which you must dampen and tie around your mouth and nose to avoid asphyxiation. Big part of European railways are electrified, so be very careful if you want to ride on the roof, especially under AC power lines (riding under a DC power line is much more safe). Don't go climbing up on the roofs of electric multiple units (you can do that only if the emplacement of electric current collectors and busbars on the roof allows to keep a safe distance from it during climbing and riding) or on the roofs of high railway cars (such as high boxcars, enclosed auto racks, double-decker passenger cars), even when they don't have visible power racks or railroad you're traveling is not electrified, because railroad might have wires on later parts. In upper parts you'd also be more visible and if people spot you, they might call police. Conductors, controllers and engineers or rail workers have no concept of 'hoboing' in Europe, so be prepared to have a good explanation if you get caught. All yard workers wear bright vests, so you can see them from a distance, however this also means a moving body without a vest is likely to raise attention. Keep low, stay safe. 'Bulls' or railroad police don't exist on many countries in Europe so you're off the hook there. Guards around stations can be found. Fines for train hopping in Europe can be very different, but usually they have a big size: for example, in the United Kingdom you can be fined up to £1000. Russia is a very good place for train hopping. There is an extensive rail-network with a lot of passenger and freight trains, which have a big amount of handles and footrests. Hopping a trains in many regions of Russia is much more common than in most European contries and has it's own history, in recent times it became popular among young people aged 14 to 25 years, who live near railway lines. Escape from police after riding on the outside of subway train. Freight hopping is a common phenomenon in many regions of Russia, for example, in very far regions some passenger trains have a special freight flatcar for stowaways, and train conductors allow people to travel on these cars for free. Riding on the outside of freight trains in Russia is not so common like in the United States, but riding on the outside of passenger trains, especially commuter electric multiple units, is much more common than in the USA or Europe. Also, some train hoppers in Russia practice travelling on a high speed trains "Sapsan" at Moscow - St. Petersburg railway line, but it's a difficult to get on these trains during the recent months, because a lot of railway guards at train stations are watching for train hoppers on these trains and can report about them. In a number of Russian regions with a high number of railway lines, especially Moscow, riding on the outside of trains is so common, that rail workers and engineers of other trains usually don't report about persons travelling on the outside of trains, and civilians never tries to call the police. The railroad police and guards periodically can be found around big and medium train stations and railway terminals, but if they see a rider on the outside of a moving train and can't arrest him, they usually don't report to the next stations, the two only exceptions are subway trains and high-speed trains "Sapsans". In Russia, only the railroad police can arrest you and it never use road cars, so you can stay calm if you see a car of road or civil police. Finally, train hopping in Russia is much less punishable than in the USA or Europe: the fine for that is only 100 Russian roubles, that approximately equals 3.2 USD or 2.5 Euro, that is one of the reasons why the police do not have much interest for train hoppers. In other post-Soviet countries, hopping a trains is less common, and fines much be higher - for example, in Ukraine or Belarus the maximum fine approximately equals 33 USD. Trains un Russia are not so fast as European trains: the average speed of freight and the most of passenger trains in Russia is between 60 and 90 km/h with maximum speed 110 km/h, but some passenger trains can accelerate to 160 km/h. The only high-speed line in Russia is a Moscow - St.Petersburg railway, where express trains have average speed 190 km/h and maximum speed 250 km/h. The big part of Russian railway lines are electrified. There are two electrification types - 3 kV DC and 25 kV AC. The first type of elictrification is common for railways, where the first electric trains was appeared, including Moscow, St. Petersburg and some other regions; while the second one, which is much more dangerous, where the electrification apperead over the last 50 years. The full map of electrification of Russian railways can be found here. Be very careful if you want to ride on the roof under a 25 kV power line, especially if train has current busbars between carriages. Train hoppers in Russia have a lot of websites and online comminities, and some of them may organise fan trips by commuter electric multiple units or local freight trains. The biggest community of Russian train hoppers is located at a group on social network vk.com, registered users can join their group and get detailed information about different types of trains and railway lines in Russia. Asia is a paradise and a native part of the world for millions of train hoppers. The practice of travelling on the outside of trains in South and South-East Asia is very common phenomenon due to a high population density and overcrowding of trains. In India, Indonesia and Bagladesh it's much more common than in any other part of the world: thousands of people can ride outside a single train. A lot of people in these countries travels by hopping on passenger trains every day. Freight hopping is also practiced, but in a lesser degree. Most railways lines in Asia has no electrification, however, average speeds of trains on these lines are much slower. In the recent years, railroad companies of these countries started campaigns against riding on the outside of trains. The police and railway guards can be found at big train stations, sometimes they may organise raids against train hoppers, however usually nobody cares about people on the outside of trains. A huge country with big distances between cities, lots of rails and trains, no bulls, little security... sound like hobo heaven? It is! Well, almost. First of all, you will be fined for 293 australian dollars if get caught. Also there's little information to be found about times, destinations and yards, so several hours will have to be spent scouting out the system and your nearest rail network. Different gauges are used for different states, which means certain trains can only operate within their state. Pacific National runs through most of the country, with routes to and from Brisbane, Sydney, Melbourne, Adelaide and Perth. QLD RAIL covers Queensland and for hopping out of Brisbane, the Southbound yard can be found at Acacia Ridge, while for Northbound trains Bowen Hills is your best bet. Tasmania has its own rail network, going from Hobart up through the middle of the island. Note there is no rail service to Tasmania! Brian Cray's blog has articles on train hopping. Operation Lifesaver - Rail Safety Education. Squat the Planet has a guide to train hopping. http://northbankfred.com has a lot of useful information about train hopping in the United States. Train surfing at Lurkmore wiki — basic guides for riding on the outside of train (in Russian), a lot of videos and pictures. Train surfing at Russian Wikipedia (in Russian language). Train surfing on Wikimedia Commons has a lot of pictures about riding on the outside of trains. This article is partly based on work from Wikipedia. This page was last edited 15:27, 30 October 2017 by Subaculture. Based on work by different users of the hitchwiki community.